This is a quick tip on how to make a website a web app within Windows using Google Chrome Browser. This works with Windows 7, 8, 8.1 or 10. The advantage of making a website as an app is that the window the website opens up is just for that site and then dosnt have the address, tab or bookmarks bar etc. So this means more screen space for the website. 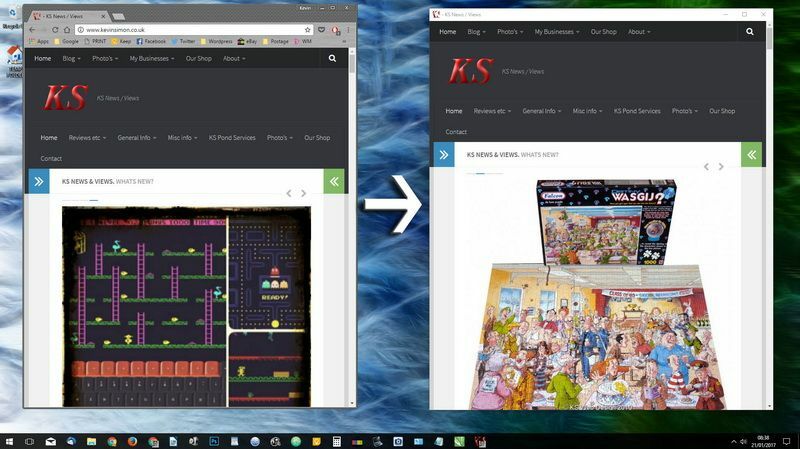 I find this useful as doing ebay and having a online shop I can have both sites open either side, nearly full screen, then chrome open on my other screen for normal web use. The following instructions should work with any version of Chrome and the last few releases on windows. Not sure if this will work using chrome on Mac OS or chromium on Linux. Within chrome open the website you want to make as an app, then click on the chrome menu the On the top right (Three vertical dots) , Then More Tools then click add to desktop a window will pop up, if you like you can change the name of the shortcut next to the icon, BUT the most important part is to make sure there is a tick next to “Open as Window” once done click Add. Now you have a new shortcut on your desktop for that website and because you set it as open as new window the website will open without the Chrome tool and address bar etc. Though do remember that you wont also see the back button etc. Really all you are doing is creating a shortcut to a website, It is not creating a mobile app, just packaging that site in smaller window etc.